Over the summer, MCR Pathways and the Council family piloted a brand new idea to help inspire young people about their future. A handful of mentors from across Glasgow City Council brought their mentees into their offices to give them a taste of working life. From City Building, to St Brigid’s Primary School and Land and Environmental Services, departments all over the city opened their doors to our young people. Stevie Scott, Head of Parks and Environment, gave his young person the grand tour of all the Council buildings. This was a really special occasion because, “it was the first time he had been to a workplace. He was delighted with his experience,” said Stevie. Keri Isdale, who works as an Economic Development Officer, knew her young person didn’t want to work in an office so she came up with another idea. Keri’s young person had expressed an interest in construction, but didn’t know know much about it except that he didn’t want to be an electrician, “cause you might blow yourself up!” He ended up loving the joining session and has since changed some of his courses to focus on construction skills. Jimmy Cheng, a Parks and Streetscene Work Planner, knew his mentee’s ambition was to become a video game developer. He brought him in for the day to, ‘‘gain a greater understanding of my role and how it fits in the overall process of public services.” And while his young person is still determined to design video games he still really enjoyed the day. Carole Scott, Head Teacher at St Brigid’s Primary, has been mentoring in different capacities for much of her career. By providing young people with opportunities to experience different workplaces we can help get them thinking about their own career paths. Thank you to all our mentors who brought in their young people, and thank you to all our wonderful mentors who meet their young person, week after week. 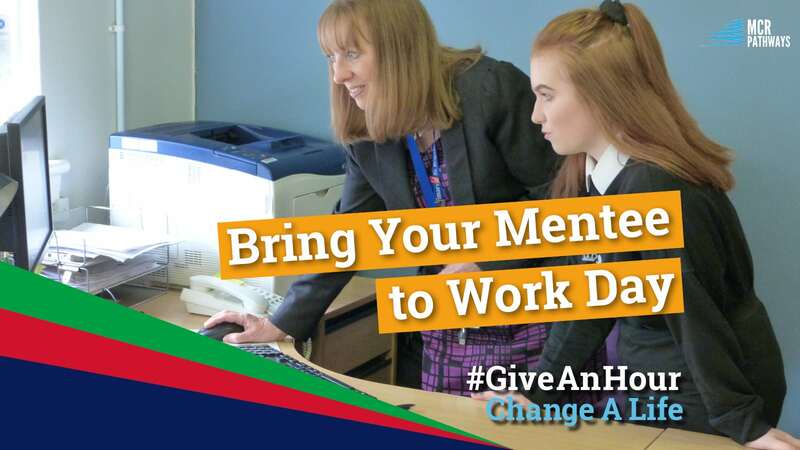 There are still another 750 young people in the city who need the support of their very own mentor. Can you get involved? Join us for one of our info sessions at the Mitchell to learn more.